My stumble preferences mean I come across excellent techniques to hone executional skills. This is the best by miles so far and well worth a look. 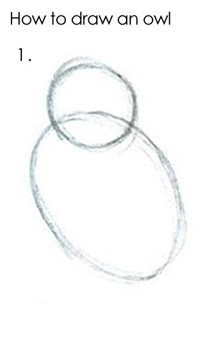 This drawing is obviously of a fat man sitting in a chair being looked down upon...or else it's two circles in space being together as one. I just can't decide right now which one it is...nor do I think it is important, as it's only a tool of perception...or is it?